Flip the switch on uneven skin tone with Plunge Radiance Mask! Formulated with the purest form of Tropical Vitamin C and an array of skin-brightening ingredients, our masks will help even out dark spots and hyper-pigmentation for a more radiant complexion! 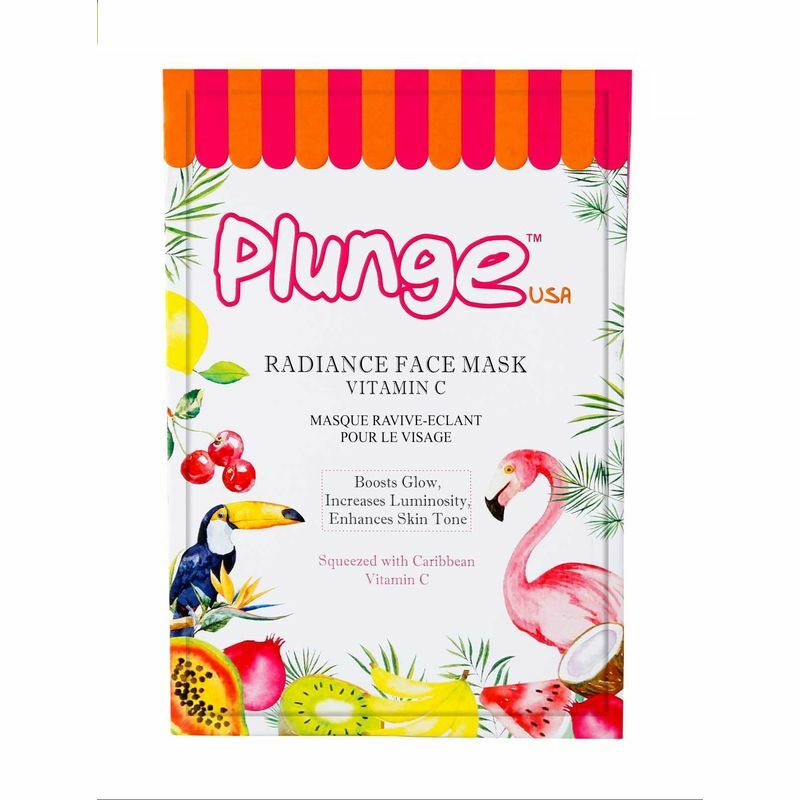 An ultra thin, slightly creamy hydrating sheet mask made of natural cellulose for even and consistent absorption of brightening Vitamin C. The natural form of Hyaluronic acid in this mask will ensure your skin looks super radiant in just a couple of minutes! This product is dermatologically tested for uneven skin tone. Natural Hyaluronic Acid - Helps in moisturising & hydrating skin, making it look younger!